Climate change is one of the key problems of the modern civilization, one that the international community has been trying to resolve for several decades. The United Nations Framework Convention on Climate Change defines the goal, while concrete actions to tackle climate change are laid down under the Kyoto Protocol (for 2008-2013), the Doha Amendment to the Kyoto Protocol (for 2013-2020), and the Paris Agreement (2021-2030). The negotiations that led to the Paris Agreement lasted nearly a decade – the adoption of the agreement was deemed a major success of the French diplomacy and a significant step towards mitigating negative effects and consequences of climate change. However, success of the Paris Agreement comes down to the efficiency of implementing and achieving the targets under the agreement and the Convention. Achieving the targets requires joint rules, modalities, and procedures – which the Conference of the Parties (COP) and the Convention held in Katowice, Poland in early December sought to define. Global warming is a global problem and resolving it requires a global agreement on local (and national) action. The Paris Agreement within the UN Framework Convention on Climate Change (UNFCCC), adopted in 2015 at the Conference of the Parties of the UNFCCC, is just that: a global political accord based on scientific results. The agreement sets the goal of limiting the increase in global average temperature to well below 2°C above pre-industrial levels, by taking action to reduce global greenhouse gas (GHG) emissions (starting from 2021) to net zero by the end of the century. Action and options for reducing emissions have been set voluntarily by states themselves, as Nationally Determined Contributions (NDCs). It should be noted that the Paris Agreement makes no difference between developed and developing countries, except in terms of financing, based on their status under the Convention. Under the Agreement, all countries have emission reduction and adjustment commitments, as well as reporting obligations, which was not the case before. Therefore, apart from the fact that the Paris Agreement was adopted unanimously by 196 parties to the Convention, which is a rare case in the current political landscape, the fact that all ratifying countries assume commitments to cut GHG emissions and contribute to meeting goals under the Convention, in compliance with their ability, is also a new development (previously, under the Kyoto Protocol and the Doha Amendment to the Kyoto Protocol, only industrialized countries had these obligations). The package also includes recommendations and instructions for calculating GHG emission reduction targets. Decisions from Katowice also highlight the need to start work on determining the timeframe for the next commitment period (from 2030). The Katowice package highlights climate action links, including between action to achieve Sustainable Development Goals (SDGs) and reduce disaster risk (the Sendai Framework for Disaster Risk Reduction 2015-2030). The new obligation of biennial reporting on action transparency and producing annual inventories can be achieved through national communications and updated biennial reports. If not, the first ones need to be submitted by December 31, 2024, at the latest. Also, industrialized and other countries that have secured or plan to secure funds for developing countries are obliged to submit biennial information about implemented and planned budgets for climate change investments from 2020. In terms of the efficiency of achieving the Paris Agreement goals, increased efforts of local communities and other actors, especially the private sector, which have voluntarily set GHG emission reduction targets, are noteworthy. One of the reasons for this voluntary approach is quite certainly the fact that activities to cut emissions lead to an improved efficiency and application, if not development, of new technologies, which are increasingly significant for competing on the international market and further economic development. By the end of the COP, these obligations were assumed by over 9,000 cities from 128 countries that are home to 16% of the world’s population, as well as around 240 regions from 40 countries (17% of the global population) and over 6,000 companies from 12 countries. The Paris Agreement secured solid grounds for reducing adverse effects of climate change and the Katowice package for its implementation. Most parties to the Convention (184 out of 196 countries) have also ratified the Paris Agreement, opting for low-carbon development. However, significant progress on establishing a monitoring and reporting system, as well as identifying and setting new emission reduction targets, is visible in only a few countries (the EU has established a monitoring and reporting system, and only 10 countries have submitted long-term strategies). There are certain initiatives for establishing monitoring and reporting systems, as well as for a review of emission reduction targets and producing long-term low-carbon development strategies. 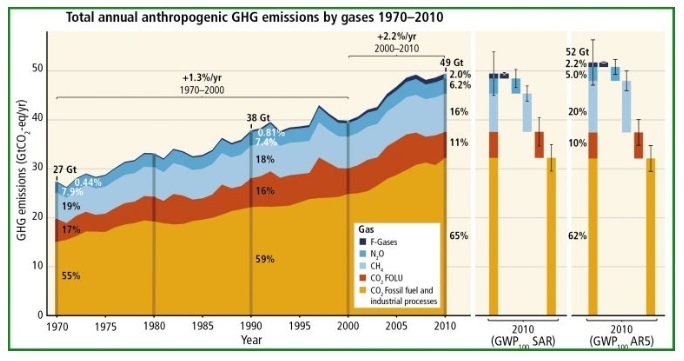 However, it remains to be seen whether the review of the existing and preparation of new GHG emission reduction targets will take into account the fact that certain analyses have identified the need to phase out coal in OECD and EU countries by 2030, in China by 2040, and in the rest of the world by 2050, in order to achieve the Paris Agreement goals. 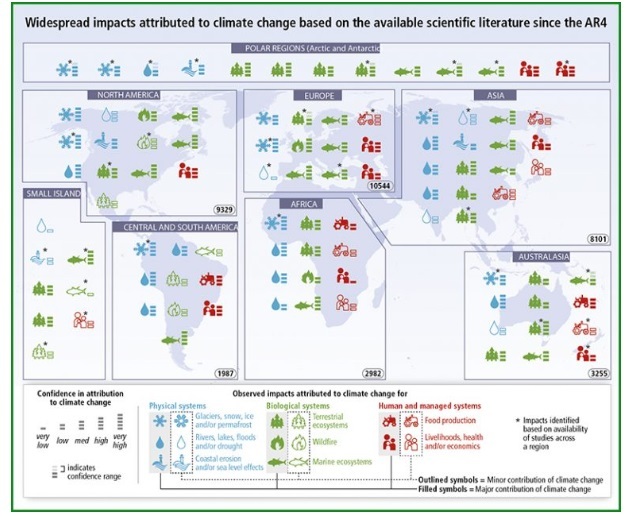 It also remains to be seen by 2020 whether increased ambitions to reduce GHG emissions will be sufficient to ensure zero emissions globally by the end of this century, and thereby enable adaptation.